Hi Thato, I would like to speak with you briefly to see if you're a good fit to coach me. Please contact me at your earliest convenience. Hi Howard , I would like to speak with you briefly to see if you're a good fit to coach me. Please contact me at your earliest convenience. Hi Kiran, I would like to speak with you briefly to see if you're a good fit to coach me. Please contact me at your earliest convenience.  Hi Vijayakumar, I would like to speak with you briefly to see if you're a good fit to coach me. Please contact me at your earliest convenience. Sangeeta Janardhan MS, Certified in the following: Magnified Healing, Yoga Teacher, Certified Pranic Healer & Pranic Psychotherapy , Access Modalities, Angel Soul Therapy. Hi Sangeeta, I would like to speak with you briefly to see if you're a good fit to coach me. Please contact me at your earliest convenience. Hi Baggi, I would like to speak with you briefly to see if you're a good fit to coach me. Please contact me at your earliest convenience. Hi MaryAnn, I would like to speak with you briefly to see if you're a good fit to coach me. Please contact me at your earliest convenience.